Girls Rock NC is an organization in central North Carolina that works to empower girls, women, & folks of marginalized genders—through creative expression—to be confident & engaged members of their communities. We accomplish this by focusing on creativity, confidence and collaboration. In our fifteen years of programming, GRNC has held nearly 100 music programs for girls in Chapel Hill, Durham, and Raleigh. Our campers have gone on to perform in successful bands and have even take on leadership roles at camp. GRNC has roughly 120 active volunteers and a growing number of partners, sponsors, musicians, parents, activists, and mentors working together to build stronger communities. GRNC is committed to social justice and seeks to amplify the voices of those traditionally marginalized. GRNC is an anti-racist and LGBTQIA+-inclusive and affirming organization and strives to provide a safe, visible atmosphere for all. Girls Rock NC is most importantly a mentorship organization, and we strive to provide excellent and supportive role models for all of our campers. We invite individuals who self-identify as women, trans, gender-nonconforming, or gender-variant to apply for direct roles at rock camp! This includes band managing, camp counseling, performing, and workshop instruction. Additionally, we welcome and greatly value individuals of any gender identity to volunteer in more indirect ways! These roles include but are not limited to: child care, gear hauling, gear repair, design, promotion, flyering, fundraising, event-planning, and more. Girls Rock NC is an LGBTQI-inclusive and affirming organization, and we are committed to providing a safer and inclusive environment for everyone. We appreciate your understanding and support, and are always interested in an ongoing conversation about gender! Girls Rock NC values diversity in our communities and does not discriminate based on race, age, economic status, ability, gender expression, size, learning styles, musical interests, religion, nationality, citizenship status, or sexual orientation in administration of its programs, admissions, scholarships, volunteer positions, and employment opportunities. We aim to create safer spaces for everyone—particularly those who are affected by systems of oppression and marginalization—and do not tolerate racism, sexism, homophobia, transphobia, and other discriminatory behavior or expression. GRNC’s biggest program is our Summer Rock Camp, a one-week summer program in which campers form bands, write original music with their peers, attend workshops, and perform their songs for the community at a concert at the end of the week. We also have a fall and spring After School Program, our spring Rock Roulette for adults, and our Teen Action Board. No musical instruments or experience are necessary to participate in any of these programs! 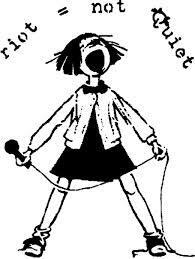 The first Girls Rock camp began in Portland, Oregon, in 2001, energized by the Riot Grrrl movement of the Pacific Northwest and Washington, DC. In 2003, GRNC became the third organization in the country to provide this unique programming, and the fourth in the world. Founding members Abigail Sherriff, Amelia Shull, and Beth Turner held their first camp for 29 girls at Carolina Friends School. GRNC now serves more than 300 young folks each year, with camps in Durham, Chapel Hill/Carrboro, and Raleigh. 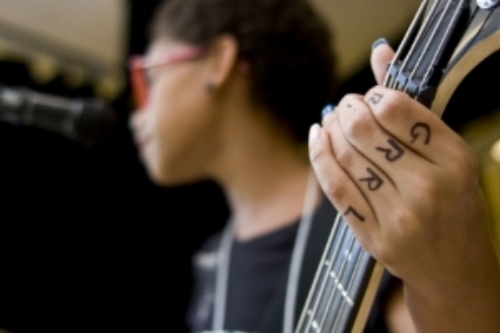 Inspired by the Girls Rock model, more than 130 organizations have since formed in cities across the globe, making up the Girls Rock Camp Alliance. Subscribe to the GRNC mailing list! Girls Rock NC is a 501(c)3 non-profit organization.